For updates to this story, see "Elsevier urges US government to respect freedom to publish amid sanctions." Recently Elsevier communicated to journal editors some changes in US trade sanctions regulations, enforced by the US Office of Foreign Assets Control (OFAC). Elsevier, like most publishers, believes that the free flow of ideas and information is the right principle for science and for society. Being able to communicate globally, in our view, helps to reduce political tension and improve the social network. There will always be some concerns regarding confidentiality, sensitive information and the like, which we understand. But these should be exceptions, carefully thought through and with limited application – not the rule. 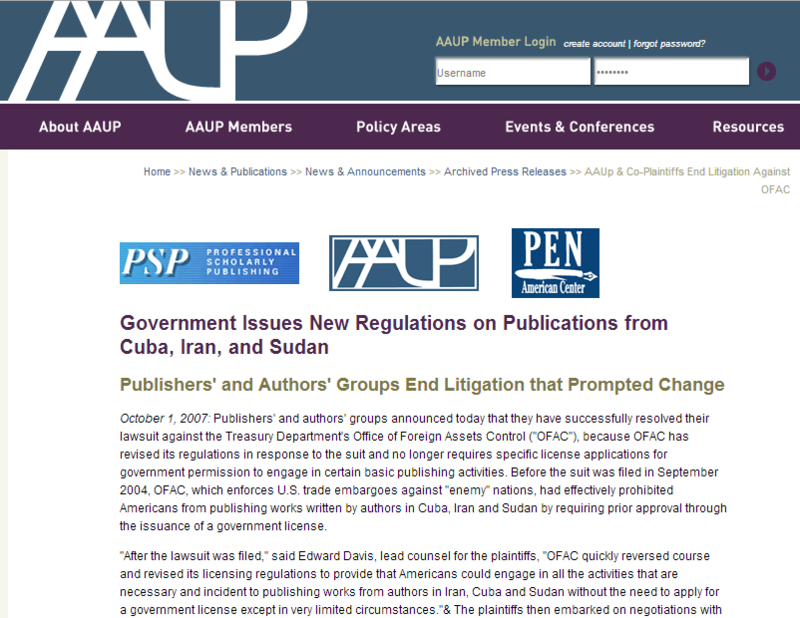 In 2007, the US government issued new regulations on publications from Cuba, Iran and Sudan in response to a lawsuit from publishers. That is the reason publishers brought suit against the US government in 2004 when the presidential administration narrowly applied and threatened the existence of the "informational materials" exception to US sanctions that had been in US law since 1988 (known as the Berman Amendment). 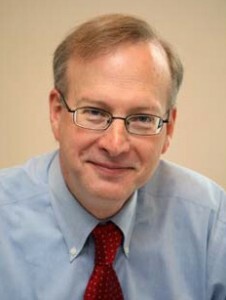 Publishers were successful in this effort, and the regulations were changed in 2007 to preserve the "informational materials" exception and create a general license for publishing activity permitted under US law, specifically authorizing a wide range of peer review, author and editorial activities. The EU has added a number of major Iranian institutions to its list of sanctioned persons, which has greatly restricted interactions with those institutions, including the publishing of journal articles from authors at those institutions. In the US, OFAC has used new laws to target certain Iranian nationals, including Iranian government employees (but not Iranian universities) that are deemed to be engaged in or supporting the potential development of weapons technologies or supporting the government-owned energy industry. These laws are designed to exclude these parties from any participation in publishing, including the consideration of publishing journal articles from employee-authors. We stand by our belief that generally speaking, restrictions on publishing are inappropriate, and any exceptions should be narrowly crafted. We will work with our other publishing house and industry colleagues, along with research communities and institutions, to analyze recent changes and continue to pursue appropriate balance in the laws.